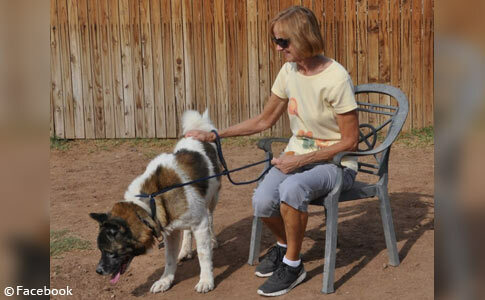 Carol Harris, 69-years old, was killed by this akita she was trying to rehab for adoption. UPDATE 12/23/17: The rescue organization that Carol Harris worked with, Akita Advocates Relocation Team Arizona (AARTA), published a post clarifying Carol's role in the group. 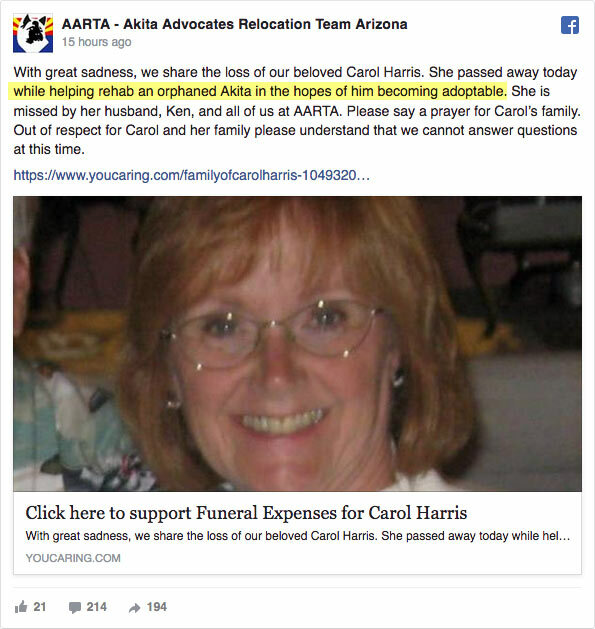 "Carol Harris was not simply a volunteer at AARTA as news media has portrayed. She was an officer and the backbone of the rescue as well as the current President of the local breed club." On December 20, Harris was killed by a rescue akita, named Izanaghi, while trying to rehab the dog for adoption. AART claims Izanaghi was not surrendered as an aggressive dog, but that he "deteriorated in the kennel environment after living his first six years in a home." Normal dog breeds have forever deteriorated in this same environment, but do not attack and kill their handler. "Carol handled him countless times without incident" and "Izanaghi turned on Carol and no one will ever know why," states AART. Thus, the reality of "zero mistake" breeds; people pay with their lives and limbs. A woman mauled to death while trying to "rehab an orphaned akita" has been identified as 69-year old Carol Harris. The 6-year old male dog is set to be euthanized Thursday then tested for rabies. On a Facebook post published by Akita Advocates Relocation Team Arizona (AARTA), Carol is described as a "big part of AARTA," as well as, a "champion for this noble breed" and a "true advocate for akitas." Grace Costa states, "So traumatic for everyone involved and for the breed." AARTA states in the post, "With great sadness, we share the loss of our beloved Carol Harris. She passed away today while helping rehab an orphaned akita in the hopes of him becoming adoptable. She is missed by her husband, Ken, and all of us at AARTA. Please say a prayer for Carol’s family. Out of respect for Carol and her family please understand that we cannot answer questions at this time." Possibly they are referring to questions related to the dog's aggression. AARTA has in the past adopted out akitas with a bite history, along with other dangerous characteristics, such as animal aggression, the latter being common in the breed. "Kovu is only 11 months old and a goofy, playful boy, but it's hard to capture that in still photos!" states AARTA. "He's looking for an adults only home where he doesn't have to interact with other animals. He has a bite history and needs alpha adults to train and guide him at this tender age," states AARTA. AZfamily.com spoke to her heartbroken husband. 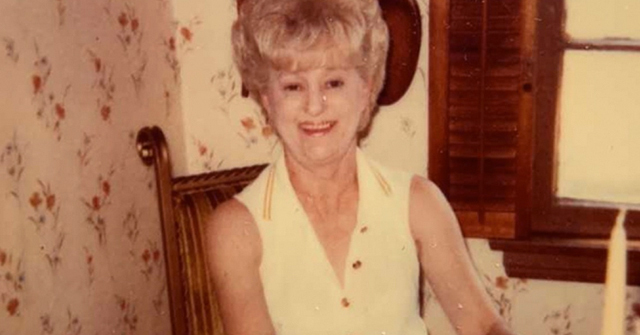 "She was a very giving, understanding, intelligent woman," Kenneth Harris said. "I’m going to miss everything." Harris said the couple has four foster akitas and two of their own; he lives in a six akita household. Harris plans to keep all of the dogs and does not want anyone to "blame the breed" for his wife's death. "They’re not aggressive. Just like pit bulls, people think that they’re all aggressive. They’re not," he said. Such a black and white scenario is hardly the case. 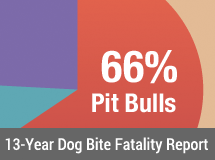 Pit bulls are inherently dangerous due to their selection for baiting, fighting and killing. Akitas are a fighting breed as well, and some akita rescue groups are honest about the breed's animal aggression and guarding behavior. No one has ever said that "all" pit bulls and akitas will show these traits, but when they do, the results are often disastrous. The question is how to protect children and the public from this disaster scenario. Harris said his wife had volunteered with Akita Advocates for 12 years. She retired from her job at a bank three years ago then started her rescue work full-time. Harris said his wife did not know very much about the dog's history. This is why rescuing inherently dangerous breeds is often so hazardous. They already come with the heritage of fighting, baiting and/or guarding, protection. They already come with being unwanted by their previous owner too, thus the "orphaned akita." 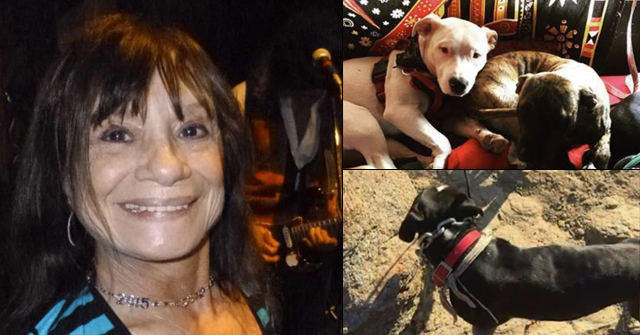 Phoenix, AZ - A woman is dead after being brutally attacked by a dog she was trying to socialize so that it could be rehomed. The attack occurred at Canine Country Club and Feline Inn on East Washington Street about 2:45 pm. The 69-year old woman suffered significant bite injuries, Phoenix police said. 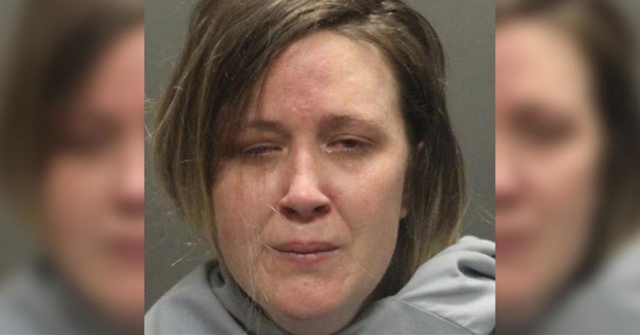 The woman volunteered at a rescue group called Akita Advocates, said Jose Santiago of Maricopa County Animal Care and Control, who also responded to the scene. An employee at the facility noticed the dog running free, covered in blood. The employee then discovered the woman severely injured in a dog exercise area, Santiago said. Workers were able to secure the dog and call 911. The victim was transported to a hospital with critical injuries, where she died. The dog is technically owned by Akita Advocates, he said. The group told county officials it intends to take possession of the dog Thursday and then put the animal down, Santiago said. Santiago confirmed the dog involved in the attack is a male akita. Canine Country Club and Feline Inn is a large facility that works with rescue groups by providing housing at a greatly reduced cost for animals that are being prepared for adoption. Even Maricopa County Animal Care and Control (MCACC) uses the facility at times to house animals, Santiago explained. According to their website, Akita Advocates started in late 2004 and has rehomed over 200 displaced akitas. There are over 85 million dogs in this country. Imagine if every one in 200 of them killed a person? Rescuing aggressive dog breeds is dangerous. The Japanese akita (or "akita") falls within a group of fighting breeds and is targeted under breed-specific legislation in various jurisdictions including entire countries, such as Spain. Akitas often appear on the "Most Dangerous Dog Breed" lists that circulate the news media. The last fatal dog attack involving an akita occurred in South Carolina in 2011 after 9-year old Kristen Dutton suffered fatal neck injuries by an akita her grandfather had purchased just three weeks earlier. 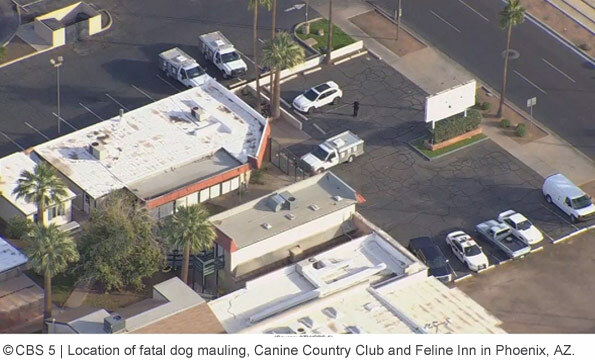 ABC 15 interviewed the owner of Canine Country Club, Greg Donahue, who said the victim was a volunteer and had been coming into the facility a few times a week for the past several years. "Unbelievable," Donahue said. "It's so tragic; a lot of tears today. A lot of upset people who have never seen anything like this, ever," he said. "We've never had more than a nip. This is unbelievable," he said. The dog is currently being held in a secure holding facility at MCACC. Journalist: Can you tell us what you saw? Donahue: Nobody saw what happened. We only saw the result of what happened. One of the rescue volunteers was walking her dog, to the best of our knowledge. And, it looks like the dog turned on her. Journalist: How difficult has this been for you? Donahue: Unbelievable. It's so tragic; a lot of tears today. A lot of upset people who have never seen anything like this, ever. We've never had more than a nip. This is unbelievable -- just unbelievable. Journalist: What can you tell us about this volunteer? Donahue: She volunteers regularly. Multiple times a week. Has been doing it for years. We've never experienced any issues. We've never seen her have any problems with her dogs. Journalist: What about the dog? Has the dog been here a long time? Donahue: I'm not sure how long that particular dog has been here. Journalist: What is the relationship between Canine Country Club and Akita Advocates? Donahue: We are a boarding facility. We provide boarding for a number of rescue groups at reduced rates to help them adopt out dogs. We have a very large facility. When they are trying to find homes for their dogs. We given them a greatly reduced price so that they can do that. So that they can make their dollars go as far as they can. So, the Rescue Industrial Complex claims another unsuspecting human. I'd say that there's a lawsuit or two that would be justified in this case. I might add that, here in AZ, tax-supported animal control agencies and privately run shelters are under enormous pressure to increase their live adoption rates. You might be wondering where this pressure is coming from, and I'll tell you. A lot of it is coming from efforts financed by the Best Friends Animal Society and Petsmart Charities. Follow the money, people! Akita Advocates' FB page is down. I hope the kennel owner reconsiders his no-doubt enthusiastic efforts to help rescue groups. One of many things that the pitbull/no-kill/rescue movements have changed for me is the appeal of ever using a boarding kennel for my own dog. It has become very common for rescue groups to use public boarding kennels to house dogs. This started off very reasonably, as a way to save dogs who were normal dogs in the days of overpopulation of beagles, collies, etc. But now, with most unwanted dogs being pit bulls and an increasing unmet demand for dogs, almost any normal dog is adopted quickly or placed in foster homes. Now, most of the ones that end up in boarding are dogs that even the available foster homes are unable to accommodate. This means that the most common 'rescue' residents in a boarding kennel are dogs from fighting breeds which have shown sufficient threat to other animals that even rescue people, who tend to see only the best in dogs, are uncomfortable housing them with their own pets. I would never board my dog in a kennel which contains 'rescue' dogs – what's the upside for me as a customer? The increased risk of disease from a perhaps newly transported rescue dog? The increased risk of attack from a dog who is perhaps too dangerous to live in a normal home with other animals, but who is being kenneled beside my dog? Yet the kennel owners use this as a marketing ploy – I support rescue puppies! I'm a great business! Yet another killer dog being described as goofy. Although my personal belief is that all dogs with a "bite history" should be euthanized and that there are certain types of dogs that simply shouldn't be pets, it's refreshing to see AARTA actually admitting and advertising the fact that the dog has bitten in the past. That is very true. And a big distinction from the pit bull rescue community. The akita groups are also much more open and honest about their breed. This dog with a known bite history should not have been a candidate for adoption and should have been put down. The Akita people really aren't that honest about their breed. Before I ever got a dog I looked at several breeds and based on looks and descriptions (from breed specific rescues) of the Akita temperament I decided I wanted one. I contacted a few rescues to enquire about different dogs and I was never told (as a never-owned-a-dog-before complete newbie) that these dogs had been bred for killing bears, fighting other dogs / animals for sport, or guarding property / people and had the potential for extreme aggression & extreme violence. I did, however, hear all about how these dogs "babysat" the children of the house and that the Japanese housewives would leave the kids alone at home with the dogs so that they could go shopping… blah blah blah. The rescues did state that Akitas often didn't like other dogs and must be kept on leash or only allowed offleash in fenced areas without other dogs around. That's about the only mention they made of anything remotely aggressive about these dogs though. As a dog-newbie I had no idea what kind of precautions & measures keeping a dog like this would entail and I had the idea that I could take it jogging in the park like a normal dog (HA!) or to sit outside coffee shops and sip coffee with my friends (HA!). No rescues ever explained in plain terms what these dogs were really like. They used euphemisms and coded terms to describe their aggression which went RIGHT over my head (NOW I understand what they were trying to say in not-so-many-words, but THEN I had no idea). Fortunately I went off the idea of a dog entirely before I ever took it any further, and I didn't get a dog for another 2 years after that. In the end I went into the local dog pound, picked the only dog that stared longingly at me and wasn't barking his head off, and took him home the next day. He was a border collie. Ironically rescues had REPEATEDLY warned me off border collies 2 years before, due to being too "hyperactive", "reactive", "sensitive", "needs to work", "neurotic", "often develops separation anxiety" "too intelligent" "needs a huge backyard" "not for first time owners" and all kinds of other things (that actually mostly aren't really true but border collie rescues will do everything in their power to convince you that you shouldn't own a border collie). I still don't understand why a soft breed like border collies are so demonized (all their bad traits are mentioned over and over even though they really aren't that bad), while potentially dangerous breeds like Akitas (and of course pit bulls) have all their good traits emphasized (with those odd nanny-dog fairytales), while their bad traits are couched in euphemism so that any non-dog-owning person wouldn't understand them. Not that I'm saying everyone should rush out and buy a border collie (most people are too lazy or overworked these days to get out and spend 2 – 3 hours with the dog per day), but I'm certainly glad I ended up with a border collie and not an Akita or I could quite easily have ended up like this poor woman. "She passed away today while helping rehab an orphaned akita in the hopes of him becoming adoptable. " They make it sound peaceful. What is with the obsession with trying to "rehabilitate" dogs with bite history? It seems as though "rescue" organizations try HARDER to work with aggressive dogs, like it's some kind of badge of honor. I can honestly say I've become quite disillusioned with dog rescue organizations. I don't know that I'd trust any of them anymore. That's sad, because every organization's reputation takes a hit when one is proven to be dishonest and disreputable. Who are you supposed to trust? We're talking the safety of our children and families. It seems like every week a new organization (and they always seem to flaunt their tax-exempt status) is exposed for being another cog in the aggressive dog "rehab" machine. Some of the things they wrote about Akitas – good Lord! Who exactly should own one? A hermit in the woods? About a decade ago, I was shopping for a new home owner insurance policy. I stopped by an American Family insurance office and was told that they didn't write policies for homes with Akitas. They also didn't cover pit bulls, chows, Rottweilers, and wolf hybrids. @ K-Hart, I feel exactly the same about dog rescues. I've done guinea pig rescue, it was a fantastic experience. I tried helping a local dog rescue that specializes in hound rescue, beagles in particular, but they couldn't help themselves and took on some pit mixes, one which latched onto a sweet fox hound and caused the rescue to use $2000.00 to stitch her up to save her. And they STILL tried to adopt out that pit mix. I got out as soon as I got my foster greyhound mix adopted out. I can't deal with the pit element, it's not only self defeating, it's dangerous. There is apparently a difference between the Akita as it exists in its homeland and the Americanized version. I have some doubts about this, but have heard it claimed that the Japanese version is smaller and less aggressive (despite the history) and that the American version is larger and more aggressive. Rescues adopting out dogs with bite histories should be prosecuted…maybe the rest will learn and change their policies. Sarah, I've seen a number of news stories about dogs being killed while boarded. I certainly would never board a dog! From above: "Harris . . .does not want anyone to "blame the breed" for his wife's death. "They’re not aggressive. Just like pit bulls, people think that they’re all aggressive. They’re not," he said. I think that tells me everything I need to know about this 'rescue'. Once again, the rest of us need to be rescued from these "rescuers." I used to volunteer at an animal shelter in my freshman year at college, and stories like this are why I stopped and will never return to another one. People are too obsessed with trying to "rehabilitate" dangerous animals when there are plenty of safe animals they could invest in as potential pets as well. This woman would still be alive if people weren't trying to spend their time "saving" killer dogs who should not be "saved". 1. That dog looks very old, much older than 6. 2. Sounds like she was a breeder/Akita hoarder who was helping to create the problem of more Akitas in need of homes and "rehabilitation." I have seen this before . In my area, we have a woman who breeds rottweilers but also runs a rottweiler rescue which appears to be more of a rottweiler hoarding facility. She begs for money, help, support for all these homeless dogs while she continues to breeed and make more of them. I wonder when one of the neighbors will speak up. As in, "We were afraid to walk past that house because of all those dogs. They'd bark and lunge at the fence, no matter who went by."